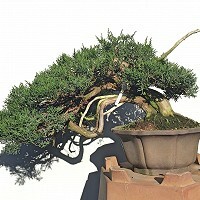 Purchased in Europe but originally a Japanese import, this Chinese Juniper had all the hallmarks of a badly made bonsai. 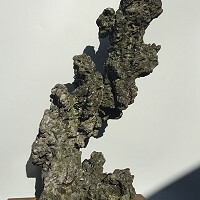 It was made to look good for sales purposes but was wired and styled in such a fashion as to have no long-term future, with branches being pulled from all over to form an immediate image. 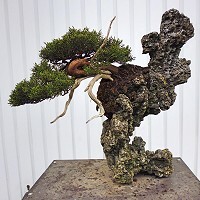 Despite this, there was enough hidden character in the tree to warrant purchasing it with the idea of planting it on the piece of Ibigawa rock, which had previously been snapped up at an event in the UK. 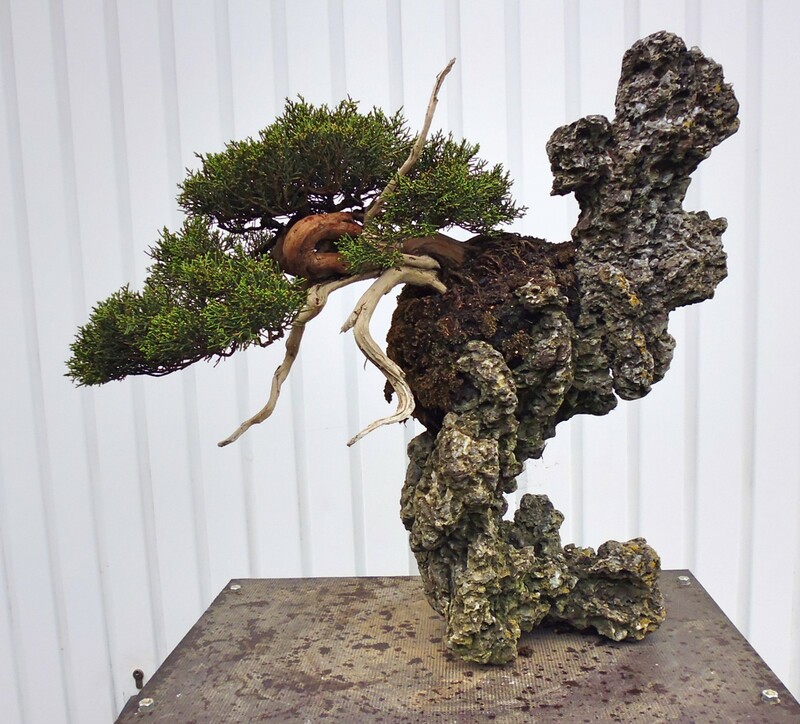 In order to plant on the rock, some carving of the rock was required and the insertion of some thin, metal rods to support the tree and roots. 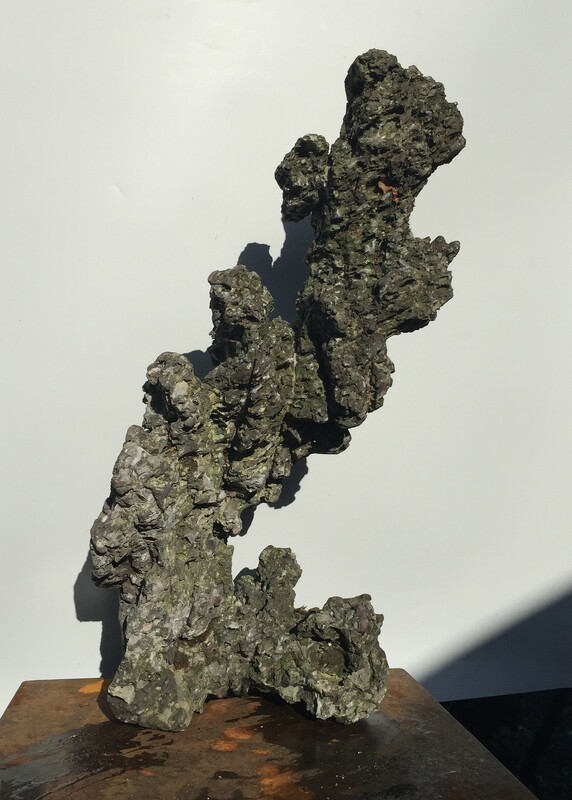 Removing the lowest section of the tree allowed for some shari creation and the compaction of the overall image, immediately making the trunk appear more sinuous and powerful. 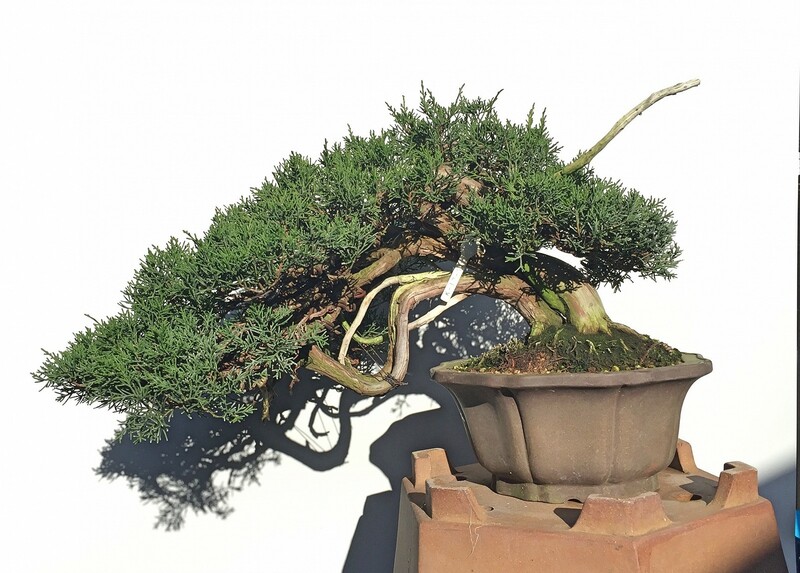 An overall reduction by half of the tangled branches in the apex allowed the remaining branches to be repositioned in positions more suitable for long-term cultivation. 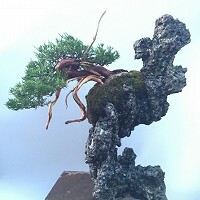 Creating a more compact and powerful tree resulted in a much better balance between rock and tree, making the final composition much more interesting than the sum of its component parts. 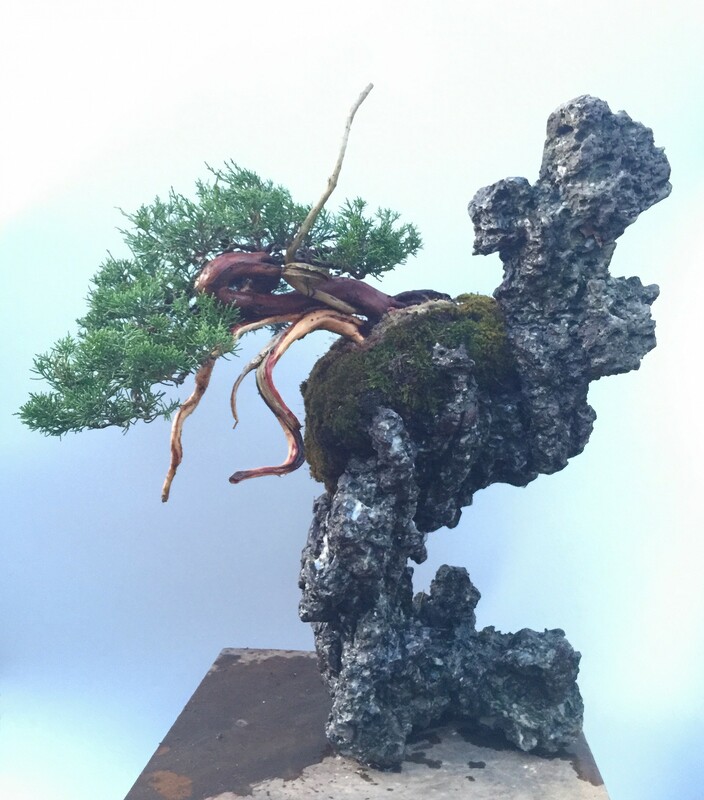 Not long after the creation, it was purchased by a dear friend and supporter of Saruyama Bonsai who has expertly continued the evolution of the tree.